2.1 What Are The Benefits Of Getting a Massage? 2.2 What Are The Benefits Of Having A Massage Chair? 3.2 B. 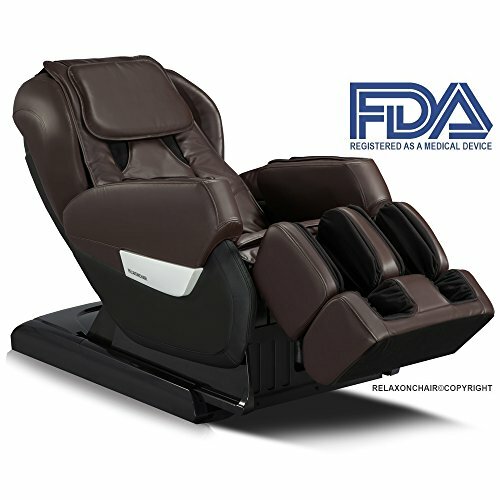 What Features Are Important To Consider When Buying a Massage Chair? 4 How Do Massage Chairs Work? 6.1 Are Massage Chairs Safe To Use While Pregnant? 7 Where Would You Put The Massage Chair? We can all agree that getting a massage after spending a long day at work can be very relaxing. But after spending so much time at work, who has the time and energy necessary to go to a massage parlor? This is where a massage chair comes in handy. 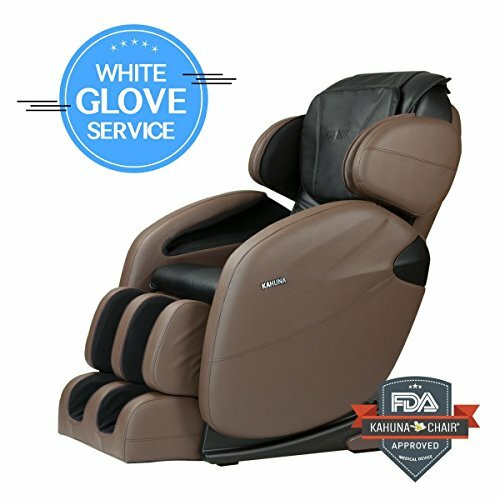 Massage chairs are capable of replicating multiple massage techniques, and you can offer a very comfortable massage experience. But finding a good massage chair can be difficult. That’s why we created this list of the best massage chairs of 2019. After thorough research and testing, we came up with a list of 8 models worthy of your attention. We’re certain that after reading the massage chair reviews and the comprehensive buying guide we prepared, you’ll be able to find the right massage chair for your needs. The Kahuna SM-9000 is the undefeated heavyweight champion of the massage chairs’ market. This model mixes innovative features with consecrated public favorites to provide a great massage experience. One of the things that stand out about the SM-9000 is that it actually provides an immersive experience, especially if you use the zero gravity feature. The rollers do a good job at replicating the type of professional massage you want, and the airbags produce a suitable amount of pressure where the rollers can’t reach. To be honest, this massage chair is rather expensive, but at least you know that you’ll get your money’s worth in time. 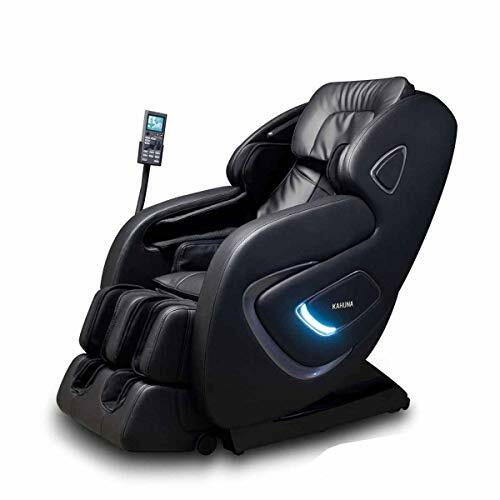 The Osaki OS-4000 is a good massage chair that comes with a reliable zero gravity function and an easy-to-use control panel. The chair uses a 3D technology to scan and adapt its features to the particularities of your spine, enhancing its performance. Apart from the highly personalized massage experience it offers, the massage chair also provides a good mix of technologies to make sure every user gets to use his or hers preferred massage technique. You will be able to choose between rollers, air massage, seat vibration, heat therapy, and more. Overall, the OS-4000 is a reliable model, and it’s definitely one of the better models we tested. The Relaxonchair MK-IV is a high-quality massage chair that brings a lot of features to the table. The massage chair is comfortable, it looks great, and it’s easy to use. One of the advantages of choosing this model is its space-saving feature. This feature will allow you to unfold/fold the chair using only 3” of clearance, so you will be able to find a suitable storage space for the chair with ease. As far as its massage techniques and features are concerned, the MK-IV offers a lot of diversity. Its 5 predefined modes cover most of the users’ preferences, and you can also create your own massage program. The Kahuna LM6800 is a very comfortable massage chair that’s easy to use. The chair comes with multiple unique features. One of them simulates a chiropractic massage, and it will provide the necessary relief for people who suffer from back pain. Another will stretch your back’s and legs’ muscles just as a yoga program would, and it will enhance your nimbleness. A great thing about the LM6800 is its zero gravity feature. This feature will provide 3 zero gravity positions, so you can be sure to find one that’s comfortable for you. When this feature is activated, the massages provide an enhanced experience. Overall, this is a great model, and it would be a suitable match for people who suffer from back pain. The Relaxonchair MK-II is a reasonably priced massage chair that offers a good value. 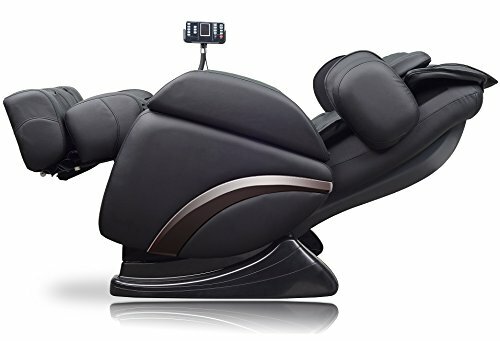 This massage chair combines a lot of nice techniques and features, including a zero gravity mode. Apart from the reliable zero gravity mode, the chair also provides a good immersion sensation. The mix of rollers and airbags will warm up your arm, back, and leg muscles and they will massage these areas properly. As far as special features are concerned, this model uses a spinal decompression feature that will target your spine, stretching the muscles around it. This is a great feature for people who spend a lot of time in office chairs or car seats. 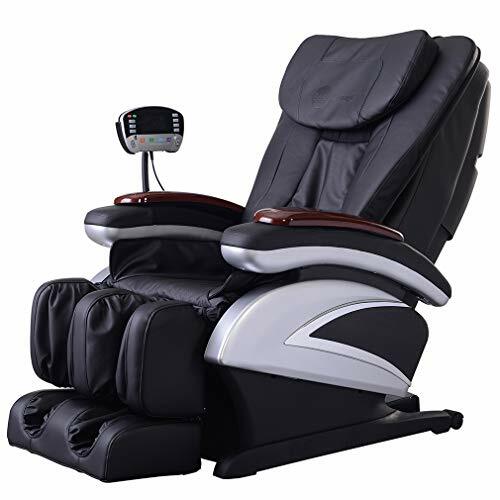 The massage chair produced by ideal massage is one of the most popular models we included in our list. This massage chair comes at a decent price, and it offers a nice mix of features that fit most users’ preferences. A great thing about this model is its 3D technology. This technology will scan the curvature of your spine and other physical characteristics, so every user will enjoy a customized massage experience. Overall, this massage chair offers a lot of neat features, and it only costs a fraction of the price of other models, so it has a good value. The Real Relax massage chair is one of the few cheap models that are good enough to make it on our list. 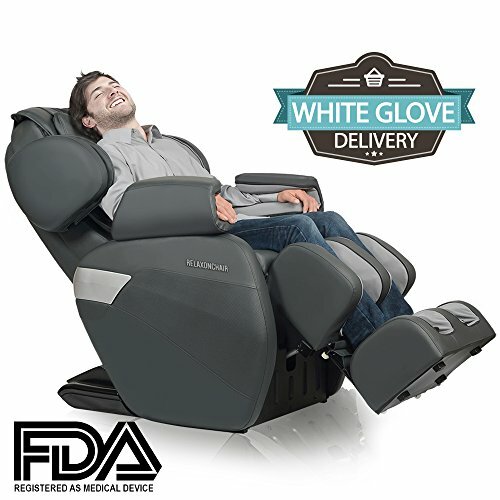 The chair comes with an interesting mix of features and massage techniques, and it manages to provide a comfortable and enjoyable experience. Despite its cheap price, this model uses a good zero gravity feature. This feature makes the massage experience even better, and it keeps your body in a comfortable position. Honestly, this massage chair doesn’t have the numbers of features other models do, and its massage techniques tend to be repetitive, but it’s still effective. This model can be the perfect choice for people on a strict budget. BestMassage’s full electric massage chair is the cheapest model that was good enough to include on our list. Despite its cheap price, the massage chair can still provide a comfortable massage experience, and it will warm up and stretch your back and legs’ muscles. Apart from its cheap price that might be incentive enough for some people, this massage chair also has some nice features. The massage sessions can last up to 30 minutes, and you can customize them to make sure all your muscles get some attention. Overall, this is a good model, but only if you’re lucky. Up to 8% of the models introduced on the market are faulty, and the manufacturer’s poor customer service might determine you to look at other models. Using a massage chair has multiple benefits. These types of chairs are specially designed to improve your circulation and stretch your muscles, and they will provide your arms, back, and legs the necessary relief after a day’s work. Ever since ancient times, people have been relying on massages to relieve their backs. As society progressed, people have been spending more and more time sitting than standing, which is their normal posture. This is where massages come in. Most people nowadays deal with some kind of posture problem. Some of them even suffer from postural stress without knowing. This postural stress often tends to manifest in the shoulder and neck area, and you might have felt some discomfort in those areas yourself. Other areas highly susceptible to postural stress are the lower back and gluteals. These areas are often painful, and you can actually feel a relief when you push your knuckles against them and stretch. The weakness and pain are often attributed to prolonged periods of sitting, so you should be careful if you spend a lot of time sitting at a desk or in a car. Luckily, massages can relieve your muscles and ease the pain. Massages work by increasing and improving the local blood circulation. Studies have actually shown that massage therapy is just as good at treating back pain as other methods that might involve drugs or complicated medical procedures. Not only will massages improve your posture, but they will also help reduce stress and improve your sleep. Massages promote relaxation, and that will lower your stress levels. As far as sleep is concerned, massages do a great job at improving comfortable rest. Have you ever seen a new mom comfort her newborn by soothing its back? Well, apparently that reflex doesn’t disappear for as long as you live. If you receive a massage, you will want to sleep. Now that you’ve seen the multiple advantages massages offer, let’s take a look at how you can benefit from having and using a massage chair. 24/7 Massage – You don’t have to schedule your massage sessions, as you would if you used a human professional. Whether you’re in a mood for a massage in the morning or late at night, you can rest assured you’re going to get one. Multiple Massage Techniques – Most massage chairs offer more massage techniques. The more techniques a chair has, the better. This will increase the chances of finding one that’s perfect for your needs. Increased Comfort – You won’t have to get out of your home to receive a massage. In fact, you can get a massage and still watch your favorite sitcom on your own television. How great is that? Lower Back Relief – Most massage chairs have specials features specially designed to tackle lower back pain. Some of them might use rollers and airbags to enhance the massage in your lower back area, while others might use heated pads to produce a heated massage for a better relief. Good Investment – Even though most massage chairs have a big initial cost, you will be able to get your money’s worth in massages. Massage chairs are durable, and most of them come with reliable warranties. A massage chair will cost less than regular visits to a massage professional, making it a good investment. 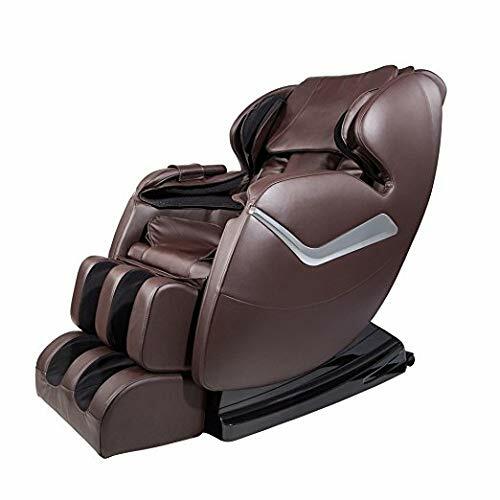 Foot Massages – Most massage chairs make a mean foot massage. Some chairs even have adaptable foot massagers, so you can personalize your experience. Muscle Stretch – A massage chair will stretch your muscles better than you would think possible. Some chairs have special features that simulate the muscle stretch you would perform during a yoga session. Spinal Relief – Some massage chairs use different technologies to track your spine and target the muscles next to it. Not only will this relieve you of any back pain, but it will also stretch your vertebrae, increasing your spinal relief. Relaxing – Everybody feels the need to relax after a taxing day at work. Well, what better way to relax than sit in a chair that massages your back, arms, legs, and feet? Finding the best massage chair might be more difficult than you think. We created this section to help you choose the best model for your particular needs. Whenever you’re buying something new, it’s better to think hard and well before reaching a decision. So, ask yourself these questions before deciding on a massage chair. Massage chairs are great, but they’re definitely not small. Even the smallest massage chair is still the size of your regular armchair, so you will need to make sure you have enough space to store one. Keep in mind that folding massage chairs will need more space than regular ones. You will need at least 3” of clearance for some models, but most will demand more to become fully extended. Will The Massage Chair Fit Me? Massage chairs come in different frames, and they have different sizes. Since most of them are built to accommodate most users, they will be suitable for both short and tall users. However, you should always make sure the massage chair will fit you. Some massage chairs won’t be comfortable for short people, while others won’t fit tall users. Massage chairs often offer more types of massages. Some users might enjoy all of them, while others might prefer one or another. Now, you might even have a therapeutic indication for a certain type of massage. Here are some massage techniques you’re most likely to find in massage chairs. Tapping – Tapping is a percussive massage technique designed to stimulate your muscles. It simulates the pounding and striking actions a professional would apply with his/her fists. This technique stimulates the local blood circulation and increases the local temperature and tissue elasticity. Shiatsu – One of the most popular and most effective massage techniques, shiatsu is typically applied with the hands, palms, and thumbs against certain stress points. This technique promotes relaxation and muscle relief. In a massage chair, shiatsu is performed by the rollers and the airbags. Special Techniques – Manufacturers try to attract customers by implementing special techniques. These techniques vary according to each model, but some of the most popular are heated massage, reflexology, spinal relief, yoga, muscle stretch, and combo. Each of these techniques has its own advantages. You might be wondering which of these massage techniques would be better for you. Well, if you don’t have any previous experience with using massage chairs, you can simply choose a model that offers more techniques. This way, you can make sure you’ll find one you like. You might also want to choose a model that has special features that appeal to you, such as yoga, muscle stretch, or spinal relief. There are multiple manufacturers that produce massage chairs. Some of them have a long history of producing this type of units, while others are just beginning to be relevant to the market. As far as massage chairs are concerned, you shouldn’t reach a conclusion that one model is better than another based on the band alone. There are plenty of high-quality models produced by less popular brands as well. The only thing you should really look out for is the brand’s customer support service. Finding a manufacturer that respects the warranty and covers the repair expenses might save you money in the long run. You should always decide on a budget before you start looking for a massage chair. The price differences between models are pretty large, and you shouldn’t waste your time looking at expensive models if you can’t afford them. When it comes to massage chairs, the price is determined by the chair’s quality and capability. 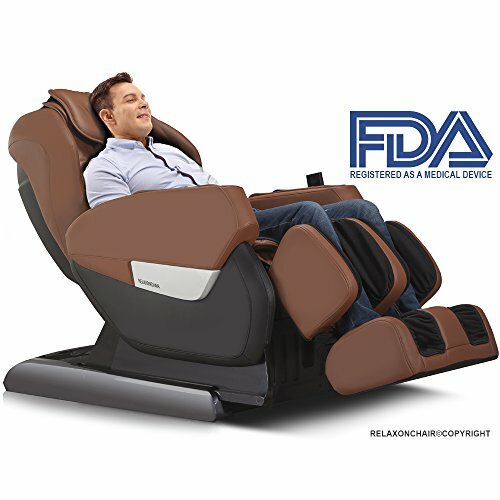 Chairs with multiple massage techniques, various extra features, and better designs will be more expensive. However, you should know that you usually get your money’s worth when buying a more expensive unit. They tend to be more durable, more comfortable, and they offer more massage techniques, making them more effective at treating your sore back and legs. Massage chairs come with warranties. The shortest warranty period is 1 year, the longest 5. Most manufacturers guarantee that they support the cost of the reparation and that of the parts in the first year, just that of the parts in the second year, and just the frame integrity in the third year. You should always check up on a company to see if they respect their warranty policies. Unfortunately, some manufacturers don’t. You can usually find this information in the product review section, as many people will complain about it. B. What Features Are Important To Consider When Buying a Massage Chair? Now that you’re certain you want to buy a massage chair, let’s take a look at the important features that define how a model works and how efficient it is. Massage Power – The power of the massage is a decisive factor in how much you’re going to enjoy the massage itself. Some people like their massages soft, while others like them rougher. Unfortunately, there’s no accurate way of deciding which model produces more power than the other. You will only be able to determine if a massage chair provides a soft or a rough massage by reading what other customers thought, but that’s very subjective. Some people might complain that a massage was rough, while others might complain that the same massage was too soft for them. To increase the chances of finding a model capable of producing exactly the type of massage you want, look for a model that has an adjustable intensity. The more intensity levels, the better. This is also a good way to make sure more members of your household will enjoy the same unit. Massage Rollers – Some massage chairs, usually the high-end ones, use rollers to provide a nice and comfortable experience. Massage rollers are specially designed to simulate the movement of the human hand. These rollers will slide upwards, downwards, toward the right and the left of your back, producing a soothing and comfortable massage. The rollers’ action is very relaxing, and it stimulates your back’s blood circulation. Heat Massage – Heated massages are a great way to thoroughly relax your muscles. With the help of heated pads or infrared rollers, massage chairs will produce heat against your back. The heat will encourage your muscles to relax, and it will promote the local blood circulation. Massage chairs have different ways to produce the heated massages. Most use heated pads located in your lower back area to deliver the heat to your lower back, one of the most sensitive stress areas during the day. Other models use the same pads, but they will also have a heated massage feature for your feet, which is very enjoyable and relaxing. High-end massage chairs will use infrared rollers for the heated massages. These rollers will cover the whole surface of your back, from your neck to your buttocks. This will produce a very comfortable massage experience. Body Scan Technology – One of the best feature currently available for massage chairs, the body scan technology will help the chair customize the massage for every different user. This technology uses sensors to track the curvature of your spine and other physical aspects, and it will customize the massage sessions to fit your specific build. This is a very good feature to have in a massage chair, as every session will be personalized according to the user. If you’re shorter, you won’t have the shoulder air cells beating against your neck, and if you’re taller you won’t have them working on your back instead of the shoulders. Air Compression Massage – Most manufacturers include an air compression massage feature. This feature uses airbags to enhance the massage experience. The airbags’ alternative compression and decompression will push against your muscles, massaging them. This feature can be used for every area of your body. Most massage chairs will have airbags at your neck, shoulder, arms, hips, legs, and feet. The more airbags a massage chair has, the better the experience. For most massage chairs, you will be able to change the airbags’ intensity as you like. Vibration Massage – While high-end massage chairs are specially designed to reach all the way down to your buttocks, lower-end models will only reach as far as your lower back. These models will use a vibration seat to work your buttocks and legs’ muscles. Zero Gravity – The zero gravity feature is usually present in high-end models. When you engage this feature, the massage chair will recline and place your body in a position where it doesn’t have to sustain its own weight, similar to what zero gravity does in space. This is a good feature, as is will allow your vertebrae to relax, and it will enhance the massage experience. Some massage chairs have multiple stages of zero gravity positions. The final stage will raise your legs to a height similar to that of your heart. This will allow your heart to relax a little and work more efficiently for a while, as it won’t have to push so hard to get all the blood down to your legs. The zero gravity stages also make the massage better because your whole weight will be distributed across the massage chair. Since your whole weight will be against the chair, you will be able to better feel the rollers and the airbags’ actions. 3D Massages – 3D massages offer more depth than a normal massage. To achieve this sense of depth, high-end massage chairs use the combined actions of rollers and airbags. The airbags fill with air, so your whole body will be covered by them. Once your body is locked in place by the airbags, the rollers start to massage your back and legs. This is a great feature, as it provides an immersive feeling to the massage. This type of massages is more relaxing and more enjoyable than the usual ones. Recline – Lower-end models that don’t have a zero gravity function usually use a reclining one. The difference between the two functions is that your body weight won’t be entirely supported by the chair when you’re using a chair with a simple recline function. Your legs won’t be lifted to a similar height with that of your heart. Even though this feature is not as good as the previous one, it’s still relaxing and enjoyable. You will most likely enjoy reclining your chair, turning on the TV and watching your favorite series while the chair massages you back. Muscle Stretch Massage – Many massage chair models offer this type of feature. Whether they’re called yoga, muscle stretch, or simply stretch, the features work in a similar way. They use the air compression massage to warm up your muscles and then they stretch them. You will be surprised to find out how much your back, arms, and legs can stretch when you engage the massage chair’s muscle stretch feature, especially if you don’t have any previous experience with using massage chairs. This feature is very good before and/or after a physical exercise. The muscle stretch massage is also great for muscle recovery after a strain or injury. Spinal Stretch – You can usually find this feature in high-end massage chairs. The feature can have many different names, but they all work in a similar way. Your back is stretched so that the pressure against your vertebrae is diminished. Then, the muscles around your spine are massaged to relieve the pain. This is a great feature for people who suffer from spinal pain, and it’s enhanced by the use of a zero gravity feature. Acupressure Points – Some massage chairs use acupressure points to enhance their massages. The acupressure points will produce a gripping feeling, so the massage would seem more realistic, similar to that provided by a massage professional. Additional Massage Features – They might not seem very important at a first glance, but additional massage features really make a massage chair better. These features target your head, arms, or legs. 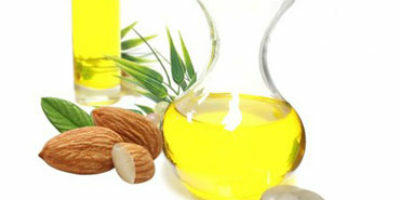 Foot Massages – Foot massages are very important for people who spend a lot of time standing up. There’s nothing like coming home from a tiring day at work and having your calves and feet massaged. Most massage chairs include a foot massage feature. 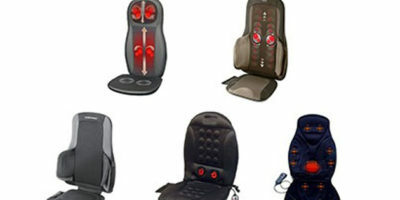 Different massage chair models offer different foot massages. Some models only use the airbags to massage your calves and feet. Some use rollers for your feet and airbags for your calves. Some use rotating discs for your feet, and a few of them will even offer a heated massage feature. Arm Massages – Arm massages can be very relaxing. Most massage chairs use air compression massages for your arms. Some of them have special pockets that hold your arms while the surrounding airbags compress your muscles. Others massage your arms while you keep them on the armrests. Head Massages – Most massage chairs will offer massage features for your neck. However, some of them will offer head massage features. These features will target the muscles on the side of your head, and they can be really relaxing. Hip Massages – Even though most massage chairs have airbags around your hips, some models have special features that specifically target the hips. These features are designed for hip pain relief, and they compress your muscles with the help of the airbags. One feature will also try to align your hips to your spine. Predefined Programs – Having more predefined programs to choose from is always an advantage. Predefined programs use a nice mix of massage techniques and features to provide a good massage experience. Most of the programs are specially designed with a purpose in mind. Some of them will stretch your muscles, some will compress them, while others will only offer a soft caress. Manual Control – Even though having many predefined programs is an advantage, you should always look for massage chairs that can be manually controlled. This will allow you to create your own massage sessions, incorporating your favorite techniques at just the right intensity and speed settings. Massage Chair Material – Most massage chairs have a faux leather covering. Even the high-end models use faux leather, as real leather wouldn’t handle the pressure produced by the airbags and the rollers as well as the fake one does. The difference between the high-end models and the low-end ones is the quality of the faux leather. Better chairs use a thicker layer of leather, so they tend to be more durable than the cheaper ones. LED Lights – Some models come with LED lights for a more enjoyable experience. If you really want to benefit from an immersive massage experience, you only have to turn off the other electronics in the room, turn on the LED lights, and relax. These lights will light up the room, making your experience more enjoyable. Easy Accessibility – The massage chair’s accessibility is determined by its control panel. Massage chairs should not be difficult to program and use, yet some manufacturers succeed in designing them so. Models that come with easy-to-read control panels are easy to use, and they’re more user-friendly. Remote Control – Some massage chairs come with remote control for an increased accessibility. You can use the remote control to change the massage technique, increase or decrease the massage’s intensity and speed, and to turn the chair on or off. Cup Holder – It might not seem as much at a first glance, but a cup holder can really be helpful if when you use a massage chair. Not only can you use the holder for cups and glasses while you enjoy the massage, but you can also use it to store the remote control, so you won’t misplace it. Bluetooth Compatibility – Some high-end massage chair models have built-in Bluetooth adapters. These adapters will allow you to connect to any Bluetooth-compatible streaming devices and pair them with the chair. Once the devices are paired, you’ll be able to listen to your favorite songs or podcasts directly through the chair’s speakers. Silent Operation – Massage chairs are somewhat bulky, and some of them might produce a lot of noise when they’re working. Having a silent massage chair is an advantage because you can still use it even if the other members of your household are sleeping, or they’re engaged in activities that require silence, such as reading or studying. Portability – Some massage chairs are portable. They weigh less than other models, and they have casters. You can use the casters to move the chair from one room to another, which can be an advantage. Now that you’re familiar with most of the features available for massage chairs, you can make a list of which of them you think would be more beneficial for your needs. This list can help you decide on a particular model. Massage chairs are not a novelty. They have been around for a few decades, and even if the technological advancements made them more comfortable, they still work in a similar way to the first models ever created. Even though massage chairs might be seen as a luxury item for households in the US, some estimates say that more than 1 in every 5 households in Japan have one. Massage chairs provide a comfortable and relaxing experience, there’s no denying, but how do they actually work? Well, most modern massage chairs combine motors, gears, vibrating mechanisms, and rollers to provide the best massage they can. Even though some principles used in today’s massage chairs are similar to those used in the first models, the technology currently used is much more sophisticated. Since no two massage chair models are identical, manufacturers don’t use the same designs, but some technologies apply to most models. Now, even today’s models are different from one another. The simplest massage chairs take a straightforward approach to massages. They use multiple vibrating surfaces to massage your back and legs. To create the necessary vibration, the manufacturers often use small devices containing a weighted gear or wheel. The weight is not properly centered on the gear or wheel, so it’s slightly unbalanced. When the motor rotates the gear rapidly, the rotation creates the vibration. Every vibrating surface uses at least one gear to produce the vibration, sometimes even more. The manufacturers have to be careful to balance the chair, otherwise, they risk producing an uncomfortable sensation, similar to what you would experience during an earthquake. If you’re willing to spend more on a massage chair, chances are you’re going to get one that uses rollers. The rollers simulate the actions of the human hand, and they’re powered by electric motors. They move in patterns determined by the chair’s structural frame. Some rollers have a limited range of motion, and they will only be able to move up and down your back. Other rollers are mounted on a mechanical arm, and they have a wider range of motion. They will be able to move right or left, and they might even be able to rotate, depending on the model. A microprocessor, stores all the recorded patterns the mechanical arm can make, and you can choose the predefined movement you want it to perform. Apart from vibrations and rollers, complex massage chairs have different massage intensities. To adjust the intensity, the manufacturers either allow the chair to change how far the rollers move away from the frame, or they mount the frame on a pivot and the frame itself moves away from the user. Nowadays, many massage chairs are recliners, so the manufacturers have to design a way for the chairs to perform in multiple positions. This can be achieved in two ways. They can either install a motorized reclining system that will change the chair’s position with a simple push of the button, or they can install a lever that will allow the user to change the position manually by pulling the lever and pushing against the backrest. One of the most popular features in recent years is the air compression massage. This feature uses multiple airbags to squeeze your arms, legs, hips, and shoulders. But how do massage chairs achieve this? Well, they use a small air compressor hidden inside the chair. The compressor connects to each airbags using a series of tubes and pipes. High-end massage chairs use a switch to open and close certain airbags without interacting with the others. Other models use several compressors, each for a set of airbags. 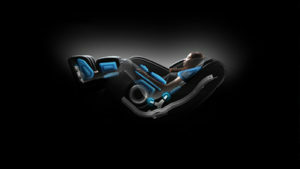 A built-in processor connects the chair to the compressors, and it dictates when each set of airbags has to be activated. Airbags are most often used as supplemental massage devices, not primary ones. As you might expect, complex massage chairs offer multiple massage techniques. But how do they perform them? Rolling – The rollers go up and down your back. In some chairs, they move sideways as well. Other models use airbags or a combination of airbags and rollers to perform this technique. Kneading – The rollers make a circular pattern to perform this massage. Some models inflate and deflate the airbags slowly to simulate this massage. Tapping – The rollers push in against your back, and then they push out. This action simulates the “karate chop” technique a professional masseur would use. This massage technique can be performed by alternately inflating and deflating the airbags as well. Shiatsu – The rollers push against certain sensitive points on your back. This massage will relieve tension. Gripping – The chair uses airbags to grip your arms and legs and release them. The airbags’ alternative inflation and deflation produce the massage. Now that all the components came together, let’s take a quick look at how a massage chair operates. Well, many models come with a predefined list of massage sessions. You can simply sit in a chair, select your favorite session, and enjoy it. You can either select the session using the control panel, or you can use a remote. Since you don’t actually have any reasons to start the massage chair without sitting in it, most manufacturers choose to install wired remotes, not wireless ones. A microprocessor stores all the information about the massage sessions. Whenever you make a choice, the microprocessor sends the necessary commands to every component involved in the massage. Even if you won’t be able to change the massage patterns, you will still be able to adjust the massage’s intensity and speed. The microprocessor will send the new intensity and speed values to the moving parts, making them perform accordingly. If you buy a high-end massage chair, you might notice that it uses a body scanner. This scanner is made out of a series of infrared sensors that detect when different parts of your body come in contact with the chair. The sensors let the microprocessor know which of them is activated, and the microprocessor will make slight modifications to the massage technique to personalize it for your body’s height and width. By scanning the user’s body, the massage chair can make sure it activates only the moving parts that actually massage the user, so they won’t produce any discomfort. So next time you sit in your massage chair programming a foot massage, take a moment to appreciate how much technology is actually involved in the process. The great thing about a massage chair is that it’s always available for a massage session. You don’t have to make an appointment, you don’t have to leave your home, and you don’t need to spend money on every session. If you’re wondering how often you should use the chair, you’ll be happy to learn that the answer is: As often as possible. Keep in mind that every massage session can be beneficial for your body, and more sessions each week could ensure a faster recovery and more benefits. It’s safe to assume you want to use the chair as often as possible since you bought one, but you still have to follow some general guidelines to make sure you use it in a safe way. If you’re one of the millions of people who suffer from lower back pain or aching neck and shoulders, you should make sure you benefit from 3 – 4 massage sessions every week. Keep in mind that you don’t have to rush the process, you own the massage chair, after all. It’s not going anywhere. Check out the top-rated massagers for neck and shoulders here. You should pay attention to the way your body feels after a massage, and adjust the session accordingly. It’s better to start slow and work your way up than start hard and spend a week complaining about sore muscles. You will need to find a balance between feeling a deep muscle relief and feeling you’re at your physical best. If you’re not looking for deep muscle relief, and you’re just looking for a way to relax, you can use the massage chair any time you feel your stress levels are too high. If you would’ve used the services of a professional masseur, you would most likely attend to 1 – 3 massage sessions each week. With a massage chair, you can get a massage more often, just make sure it doesn’t hurt your muscles. To lower your stress levels and facilitate a good night’s sleep, it’s best to have your massage after work or before bedtime. The key to using a massage chair properly is not to use it for too long. Unlike other things, when it comes to massages, more is not better. Having long massage sessions can be potentially unsafe. Now, you might be wondering how long is too long. Well, according to the experts, a normal massage session shouldn’t last for more than 15 minutes. All the benefits of the massage chair can be achieved in this period. Even if you think that a longer massage can relieve you of more pain, that’s not necessarily true. A massage session longer than 15 minutes can cause the bruising of your muscles, especially if you’ve just started using the chair. This can cause inflammation and damage to other tissues as well. Most massage chairs use an automatic timer to make sure your massage session doesn’t exceed the recommended 15 minutes. Some of them use predefined programs which will stop after this time, and other won’t allow you to create a longer customized session. If your massage chair offers you longer massage sessions, make sure you use a timer or an alarm to stop it. This is especially important if you’re in a reclined position because you can otherwise fall asleep while the chair is still working. When your 15-minute massage session is over, it’s recommended you get up and move around the room for a few minutes. Any mild physical activity will do. The physical activity will remove the toxins your body creates during the massage. Experts also recommend drinking plenty of water after the massage, as this will facilitate the toxin removal process. Pregnancy can be uncomfortable, and it can lead to pain in your lower back area. But can you use a massage chair during this period? Many manufacturers recommend that pregnant women shouldn’t use massage chairs. Their main argument is that a massage chair can possibly stimulate some pressure points and accidentally cause premature labor. However, there is no proof to support this claim. During the pregnancy, the baby is wrapped in many layers, including muscle and fluid. These layers do a great job at keeping the baby cushioned against the outside world. There are not so many differences between getting a regular massage and using a massage chair. There is no proof that the massage chair’s electromagnetic fields are dangerous to the mother or the baby. Are Massage Chairs Safe To Use While Pregnant? Even though massage chairs are considered safe for pregnant women, you should always consult your birth care provider before using one. If your pregnancy is high-risk, or you have some other medical issues, you might not be able to use a massage chair safely. Massage is a great way to lower your stress levels and relax your tense muscles during pregnancy. The vibrating massage chairs do a great job at alleviating your lower back pain and cramps by intensifying your local circulation. The vibrations are not harmful to the baby. In fact, they produce less movement than your body would produce while walking. You should also keep in mind that doctors might advise you against using a massage chair during the first trimester of the pregnancy when the risk of miscarriage is higher. If you choose to use a massage chair during your pregnancy, make sure you don’t spend more than 15 minutes in a massage session, to avoid the risk of bruising your muscles. You shouldn’t try to squeeze into a massage chair if your belly is too large to fit properly. Despite the fact that massage chairs are considered safe for pregnant women, you should still avoid using the following features. Heated Massage – Massage chairs use heated pads or infrared rollers to provide a heated massage. You might think this feature will increase your comfort, but it will also put your baby’s safety at risk. The heated massage increases your body’s temperature, which can, in turn, produce a spike in your baby’s heart rate, leading to cardiovascular issues. Pressure Points (Shiatsu Massage) – The shiatsu massage feature is specially designed to target several pressure points in your body. Unfortunately, stressing some pressure points can lead to premature labor. Even though the changes of the massage chair triggering the pressure points responsible for premature labor are very slim, it might be better to avoid them completely. Every woman who is or was pregnant can testify that a good massage can sometimes make a world of difference. Here are some benefits of using a massage chair while pregnant. You might end up with pain in your lower back and legs during pregnancy. The enlarged uterus takes up a lot of space, and it puts more pressure on your body. A massage session can ease the pain to some extent, making you feel better. Pregnancy can be a stressful period. Your body is going through considerable changes, and your hormones are acting up. This can lead to anxiety and depression. However, a good massage session can lower your stress levels considerably. Prenatal massage therapy can lead to a shorter labor, and it can reduce the chances of postnatal depression. This can be a great advantage. Where Would You Put The Massage Chair? If you read the previous question, chances are your answer was: “In front of the TV/computer.” Don’t worry, there is no wrong answer to this question. In fact, most people who buy a massage chair place it in front of their TV or computer, but that doesn’t mean this is the best approach. According to some specialists, it would be better to place the massage chair in a room you don’t have access to TV or media streaming, such as a bedroom or an office. Using the massage chair without watching a sitcom will give you the opportunity to get in touch with your inner self. Some massage chairs even have special features that can help you enjoy the massage more, such as LED lights. The lights change their color during the massage session, lighting up the room. This can be a truly enjoyable experience. Whether you plan on putting the massage chair in front of the TV, or you want to place it in your bedroom, here’s what you should keep in mind. Reclining Massage Chairs Need Clearance – You will have to take into account the clearance the massage chair needs before you place it somewhere. Without the necessary clearance, the massage chair won’t be able to recline. This is true for all models, including those with zero gravity features. Massage Chairs Need Their Own Outlet – Massage chairs are large power consumers, so they need their own power outlet. If you intend to use an extension cord, make sure you use a heavy duty one. The Massage Chair Shouldn’t Stay In Direct Sunlight – Even though getting a massage while you bask in the sun might seem rejuvenating, massage chairs shouldn’t be placed directly under the sunlight. Long exposures to sunlight might cause the upholstery to deteriorate and crack. Massage chairs usually have durable upholstery, but you will still need to clean them from time to time. If you follow the next cleaning tips, you will be able to enjoy your massage chair for years to come without it showing any wear and tear signs. Use Gentle Cleaning Agents – Most manufacturers use faux leather for the chair’s cover. This leather is durable, but you shouldn’t use powerful agents that might damage it. Don’t Drip Cleaning Agents On The Moving Parts – Always make sure you don’t apply the cleaning agents in the proximity of the moving parts. If you don’t have to do so, make sure the cleaning agent doesn’t reach the mechanical parts. Otherwise, it might cause a malfunction. Clean The Contact Areas – Even though it’s recommended to clean the whole chair from time to time, you should make a routine of frequently cleaning the areas you come in contact with. Remove The Upholstery When Possible – This will allow you to clean it easier. Use A Damp Cloth – You don’t have to use cleaning agents every time you clean the massage chair. You can simply use a damp cloth after every use and use cleaning agents only once in a while. Mind The Details – You should always make sure that all the nooks and crannies are clean, and that they don’t contain any dirt or hairs. Use Spray Bottles – You can use spray bottles to disperse the cleaning agent over a larger surface. This will also allow the upholstery to dry quickly after you clean it. Never Put A Wet Upholstery On The Chair – Avoid putting a wet upholstery on the chair. Allow it to dry out first. The wet upholstery might cause permanent damage to your chair. Don’t forget to check out these compelling reasons why buying a massage cushion is a brilliant idea. Massage chairs provide a great way to lower your stress levels and relieve your back pain. They are not cheap, but at least you know you get your money’s worth when you buy one. As you could see, many models have similar prices. 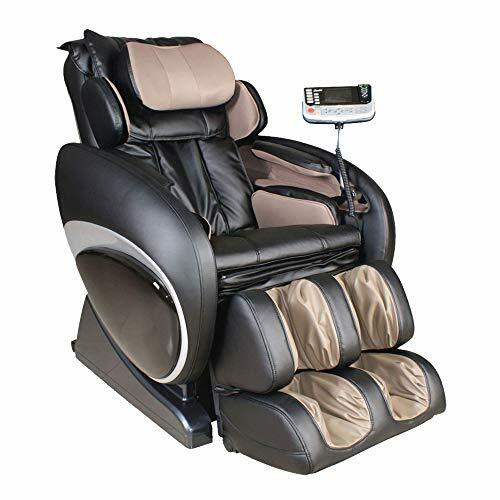 To make sure you get the best massage chair for the money, take a closer look at their features and choose the one that could be more helpful for your needs. Here’s the kicker, you don’t have to buy a model just because it looks better than the others. When it comes to massage chairs, the features they use should surpass their aspect. You can find the best features each massage chair offers in our detailed massage chair reviews you can access here.